Internship and Study Abroad Placement for College and High School Students and MBA Programs for Graduate Students. Curriculum: :;; All study abroad session at the host school opens up a rich academic offering in diverse areas of study. 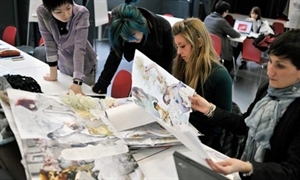 The Politecnico di Milano School of Design is now the largest international university for training product, communication, interior, and fashion designers. The Balkan Heritage Field School (BHFS, started in 2003) is a program of the Balkan Heritage Foundation (Bulgarian public, non-profit, non-governmental organization) in Partnership with New Bulgarian University for practical education in the field of Archaeology and History of South-Eastern Europe, taught in English, currently in two Balkan countries: Bulgaria and Macedonia. The Program has involved a number of academic and research institutions, museums and heritage specialists from Bulgaria, Republic of Macedonia, USA, Canada, France and Japan. The Florence University of the Arts (FUA) programs are aimed both at US undergraduates requiring academic credit, as well as an international mix of independent students who are looking for an educational study abroad programs in Italy. FUA’s academic calendar follows a semester system of 15 weeks (Fall and Spring) as well as 3 weeks summer sessions. FUA also offers long-term study abroad programs in the areas of applied arts, design and communication . 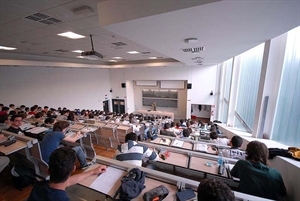 FUA has a highly qualified and dedicated international faculty a large proportion of which is of Italian nationality.The academic program at FUA is based on the American university semester credit system. APICIUS, offer professional certificate programs for motivated students seeking to develop new skills and knowledge while building a body of work and professional experience in an international learning environment. Certificate Programs may be taken for one semester and one or two years. Each year consists of two “semesters” that offer a set of “core classes” and intensive weekend seminars. Students opting for the two-year program have the opportunity to complete an internship and/or serve as a teaching assistant for introductory level courses. IESA France (The Institut d’Etudes Supérieures des Arts) was created in 1985 by Jean-Marie and Françoise Schmitt as a vocational, dynamic and student-centred alternative to the more rigid and theoretical system in French universities. Its courses have been recognised in France by the Ministry of Culture and Communications since 1991. IESA is involved in the training and education of art experts and cultural professionals and managers. IESA offers three major areas of study to students at both undergraduate and postgraduate levels - the Art Market, Cultural Events Management and Multimedia. It now boasts over 10,000 alumni working in all aspects of the art world. US students will obtain College credits for their semester abroad program from University of Jacksonville, Florida. Located in the heart of capital, Paris School of Business (PBS) is The International school that have studnets from all over the world. PSB offers a complete range of world class programs only taught in English by an international faculty and welcomes each year more than 70 nationalities. The mission of the school is to prepare students for their entry into the professional world : Consultancy projects, internships, workshops, professional assignments, conferences, international field visits, and business cases studies are at the core of all our programs. At PSB each student is unique, this is the reason why we offer small classes and individual tutoring to suit students personal needs. PSB embodies the word international, with a multi-national student body coming from around the world. 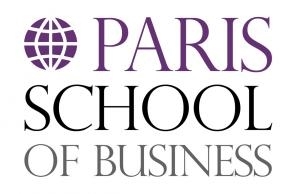 In 2012, Paris School of Business was ranked as one of the leading business schools in the world by CEO Magazine. PSB offers programs which are accredited to the highest American and international standards, by the IABCE. Array of possibilities at the undergraduate, graduate, doctorate and continuing education levels, including BBA, M.Sc., MBA, DBA, and Executive Programs. 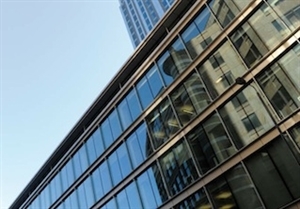 With an unrivaled location in the heart of the cosmopolitan city of Barcelona, the BIC campus is a truly multicultural setting. Here, you and other international students from dozens of countries will have take advantage of the incredible opportunity to dramatically improve their Spanish language skills while earning college credits with our diverse range of courses. US student will obtain College credits from Jacksonville University in Florida. Les Roches Marbella is located in the beautiful “Costa del Sol” area known for its high quality tourism and exclusive golf courses. Les Roches Marbella opened its doors in 1995 and offers the same learning structure and internationally recognized programs as the Swiss flagship campus. Surrounded by the Mediterranean sea and mountains, the school’s design and agreeable location create the feeling of living, working and learning in a modern international hotel. Les Roches International School of Hotel Management in Marbella has been voted by the industry as the best school in Spain for preparing students for an international career in hospitality management. Les Roches Marbella International School of Hotel Management, as an official branch campus of Les Roches, is accredited by the New England Associations of Schools and Colleges, Inc. (NEASC) through its Commission on Institutions of Higher Education. The don Quijote Spanish school in Valencia offers you a modern building in the heart of the city's university district, freshly renovated with equal focus on technology, comfort and quality, equally convenient to both the city's cosmopolitan center and its sun-drenched Mediterranean beaches. This is the ideal place to learn Spanish in Valencia. don Quijote Spanish school in Valencia is the ideal base from which to explore the city, with a street car / trolley stop just across from the premises, along with a stop for several central bus lines. From the green oasis of the university district, you can comfortably travel to the Plaza Mayor in 15 minutes and the beach in just 5. Istituto Marangoni is Europe’s leading fashion and design school, helping students to realize their dreams of a career in the creative industries. With campuses in London, Paris and Milan and unrivalled links with leading fashion houses worldwide, Istituto Marangoni has a global reputation and is recognized as aesthetic laboratory to European-style culture with an Italian imprint, working with the most interesting names in fashion and design industry. Students at Istituto Marangoni have the best instruments to stimulate growth and securely face the working world. Our courses consist of constant contact, through the faculty with the most important companies in the fashion industry. The Moroccan Center for Arabic Studies (MCAS) committed to teaching Arabic as a foreign language so as to serve as a window into the culture of any Arabic speaking country. 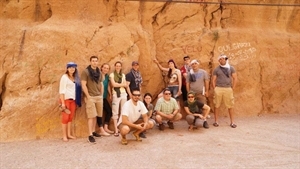 Our mission is to make sure that the Arabic courses taught at MCAS will enable our students to speak and use the language confidently with ease, equipping students with a strong communicability through our engaging methods in classes that will allow students to understand and comprehend not only Morocco but the wider Arab world. At MCAS courses are designed to fit the needs of the students in a way that help them advance with their goals. The time is now to make summer plance! Why not make it a valuable experience in a beautiful city with tons to do and see? ESAC hosts a four week study abroad program in June and July 2013, located in Prague, Czech Republic with optional weekend excursion to beautiful Vienna (Austria). 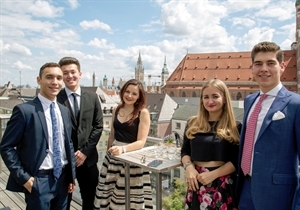 Meet the locals, study business and marketing by visiting the companies and firms directly and take a summer cruise of Europe's most spectacular city! This program is a great bargain for your hard earned cash and includes more than you would ever dream of. Czech and Roman King Charles IV founded Prague University on April 7, 1348 as the first university to the north of the Alps and to the east of Paris. The university grew rapidly and garnered respect throughout Europe for hundreds of years. The 20th Century won over distinguished professors to teach there, like Albert Einstein and Thomas G. Masaryk. While it produced vast amounts of scientific research and literary work, World War II erupted and Hitler closed all Czech universities, persecuting professors and students, while the German side of the universities meagerly prevailed. At War's end, Communist control continued and Charles University, having changed its name, grew modestly. It wasn't until 1989 that the totalitarian regime ended and Charles University was able to flourish. Today Charles University has 17 faculties and over 51,000 students (which is roughly a sixth of all students in the Czech Republic). Charles University is one of the world’s top universities, a fact that has been confirmed repeatedly by the international university rankings. It is a fully accredited Czech university with plenty of courses in English to offer study abroad students in the perfect campus setting. The study abroad programs are organized by CESTA: Central European Studies, Transitions and Alternatives. It is a division of institute for Language and Preparatory Studies Charles University. 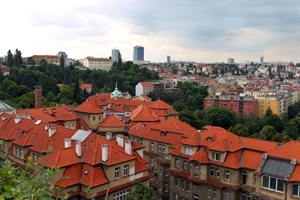 The program is called “Prague on the Go” and is designed to explore Prague within the dimensions of identity, change, space, and time. Study abroad programs are focuses on various areas of Central European Studies: art, politics, history, Jewish studies, film, and more! CESTA classes meet once or twice per week in a seminar setting, are taught at the 200 to 300 level and are worth 4 semester credits. A typical course load is 4 courses and 16 credits. Students generally take the Czech Language course plus 3 other elective courses. You experience “Prague on the Go” by touring exhibits and city districts, attending political meetings and the opera, following roads walked for centuries and visiting sites steeped in memories. Then we guide you to integrate what you’ve learned in culminating projects in oral history, documentary, research papers, and others. Les Roches International School of Hotel Management prepares international students committed to a career in the service industries for success. 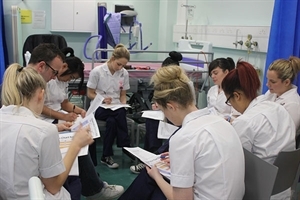 Its model hospitality education programs balance theory with practice, independent learning with strong faculty support, and a foundation for lifelong learning with the skills for immediate employment and progress to leadership positions in the industry. 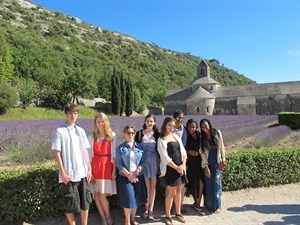 Through international sites the Les Roches model of education is accessible to students throughout the world. The International University College (IUC) is located in the Northeast part of Bulgaria, in the city of Dobrich. It is accommodated in a modern building in the centre of the city, next to the Municipal offices and the Drama Theatre. IUC's location provides easy access to all amenities and furthermore travelling inland or abroad is facilitated given the fact that Dobrich is close to one of the major cities and airports in the country - Varna. Paros International Creative Music Program is a study abroad program of studies for second, third and fourth year undergraduate students of music specialising in composition or with an interest in creating music and contemporary (classical) music and musicology, who are looking for an opportunity to enhance their future postgraduate study and career prospects by experiencing a semester/year of study and living abroad, on the island of Paros, Greece, a very popular holiday destination. 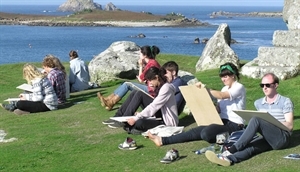 Our study abroad programs are ‘open forum’ style of teaching, a series of activities of creative engagement with music making and a carefully selected curriculum of courses taught by experienced and enthusiastic young tutors who are specialists on the subjects they teach, our approach to learning is exploratory and creative, yet rigorous. 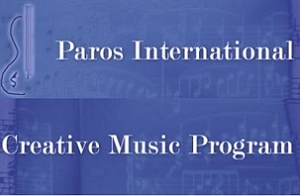 The program is an opportunity to experience a saturation of information on different pathways of creativity in music, supplemented by workshops and personalised tuition where emphasis is given both to the creation and presentation of each individual artistic vision as well as to the instigation of partnerships and the experience of joint collaborations in developing creative projects. 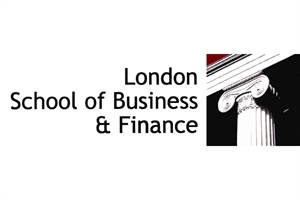 London School of Business and Finance (LSBF) is a unique educational institution, offering industry-focused programmes designed to reflect global market trends. LSBF attracts the most talented and ambitious candidates from more than 150 countries worldwide, and works together with its corporate partners to develop programmes structured with an international perspective in mind. LSBF offers an unrivalled portfolio of professional qualifications, as well as innovative degree programmes at postgraduate and undergraduate level, with the flexibility to tailor your studies to your own career aspirations. The Pontifical University of Salamanca is a modern, private, catholic institution committed to meeting the needs of society. It was founded in 1940 by the order of His Holiness Pius XII to continue the studies of Theology and Canon law that the University of Salamanca had abolished in 1852. Currently, there are 5,000 students and a team of 300 professors, researchers and administration and services personnel. Global Health Sciences (with internship at local hospital/health center).